video clip and some photos have emerged online showing the shocking moments an aircraft went up in flames at the Murtala Muhammed Airport, Lagos today. 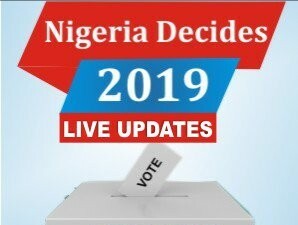 TORI News had reported earlier today that an aircraft belonging to Overland Airways caught fire at one of the General Aviation Terminal (GAT) hangars of the Murtala Muhammed Airport, Lagos. 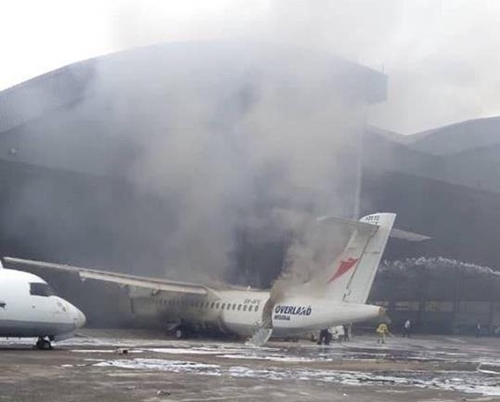 An eyewitness who had disclosed to a correspondent about the tragedy, said the fire started at about 10:30am, adding that a plane was being serviced at the tarmac when it suddenly went up in flames. "It's big fire. Half of the Overland AIrways plane is burnt, while some chartered aircraft being repaired were also torched."